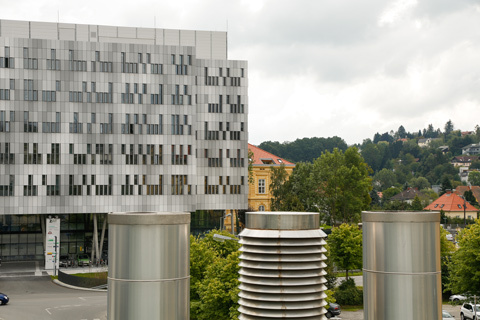 Twelve teaching institutes, four research centers, various teaching, catering and recreational facilities plus an administration building – all this constitutes the extensive project of the new Medical University of Graz campus. Graz-based architects Riegler Riewe drew up the development master plan for the so-called “MED Campus”. 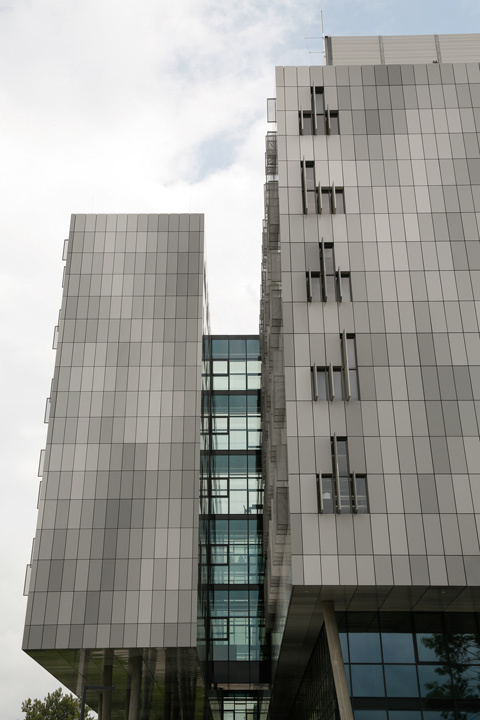 Construction started in 2013 and the first building was already opened last year, namely the Centre for Knowledge and Technology Transfer in Medicine, or ZWT. 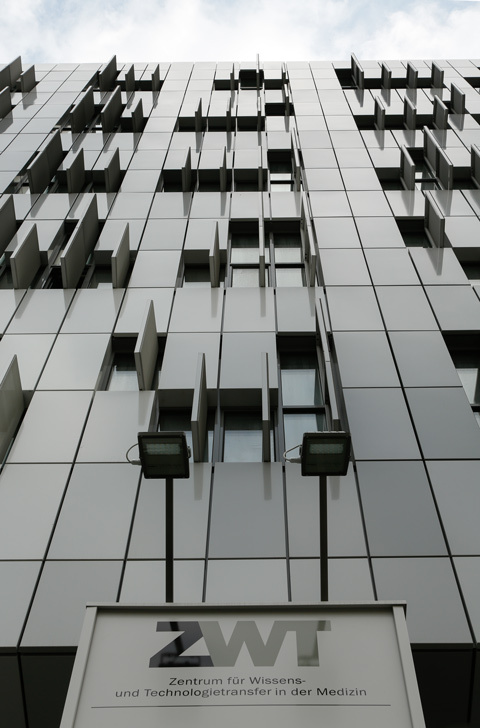 The long building, likewise designed by Riegler Riewe Architekten, shimmers silver on the campus grounds. 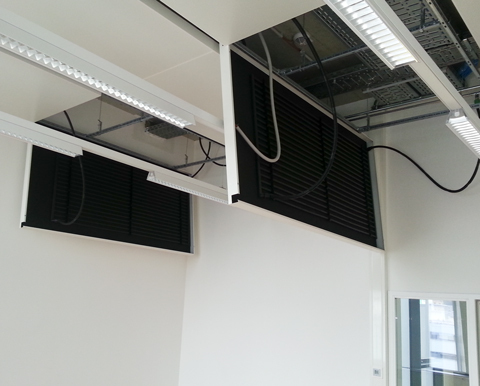 Inside, laboratories and offices were fitted out on a total usable floor space of 6,600 square meters. It is here that the ceiling panels by Armstrong ensure a pleasant indoor climate and good acoustics. 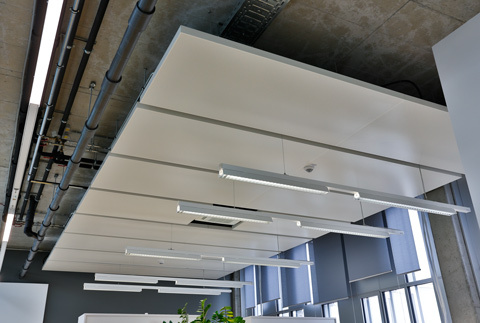 The white, lightweight panels from the “ICO-P” line seem to float under the ceiling of the ZWT and create a bright, friendly atmosphere in the rooms. 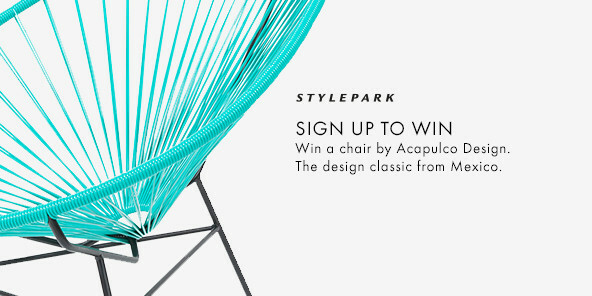 Their intelligent installation cleverly conceals the building technology. 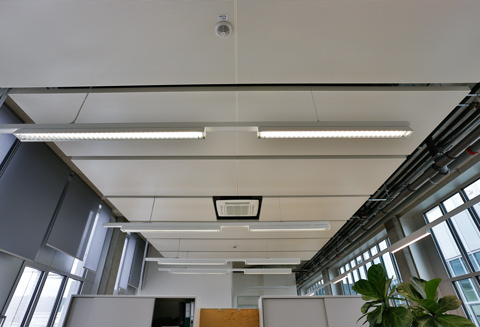 Indeed, behind the panels is a high-performance climate-control ceiling, consisting of perforated metal ceiling tiles and plastic coils, through which cold water flows. The heat generated by people, computers and lighting is transferred to the cooling coils in the ceiling panels and the cold water and transported away. 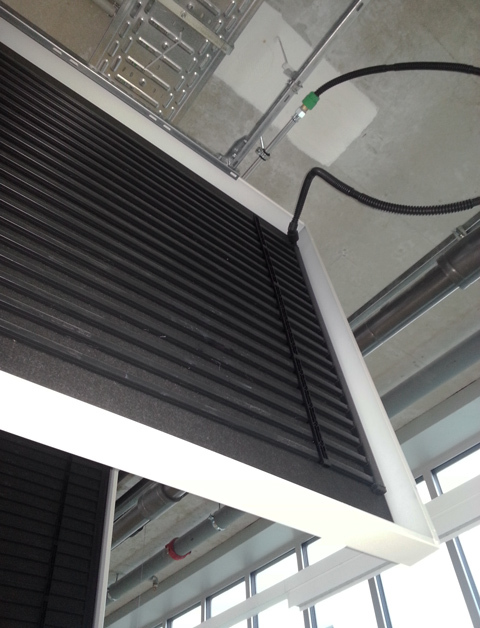 In addition, the ceiling panel system has been lined with black nonwoven fabric in order to improve the acoustics in the rooms. ICO-P has the advantage that is can be quickly and easily fitted. Moreover, the nonwoven fabric lining ensures good acoustics – which is a considerable benefit particularly with the hard surfaces in offices and labs which sound simply bounces off.